Do you have tools? A garden? A pool? Got BIG outdoor container needs? Then you need a shed or pole barn to contain all that stuff! Custom sheds use materials that match not only the home and landscaping but also the needs of the home owners. Prefab sheds only get better with a concrete base. Don't let anyone convince you that concrete is not the best way to go. ​​Only improperly installed concrete will degenerate in a short time-span. We have installed concrete locally that has gone ten years without a single crack. In the past few years the concrete plants in our service area have started charging a short load fee on concrete. This fee greatly impacts the costs of concrete shed pads since the concrete needed is minimal compared to other types of home improvement projects. ​To get the most out of your home improvement dollar we suggest adding to your shed pad project by including things such as: a concrete walkway to the shed, a wider skirt around your shed, or a small patio or additional concrete pad. There is simply no sense in giving away that extra money when it could be used to improve your home's value. One alternative to a concrete shed pad is to have us build a wooden shed deck. This option is better than a gravel base but not as long lasting as a concrete shed pad. As with concrete, a wooden shed deck will give you some flexibility to improve your overall project by providing features like ramps and additional work areas. Wooden decks, like concrete, can also be painted or stained to match your home and/or existing landscaping. 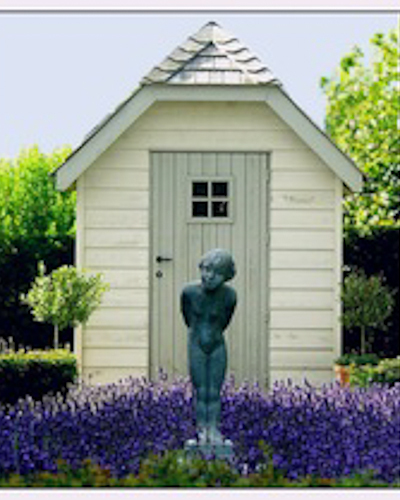 For more imformation on custom sheds and outbuildings, check out our blog post on this topic. Follow Bill Pearn Masonry - Construction: Mason Concrete Basement Waterproofing's board Sheds on Pinterest.